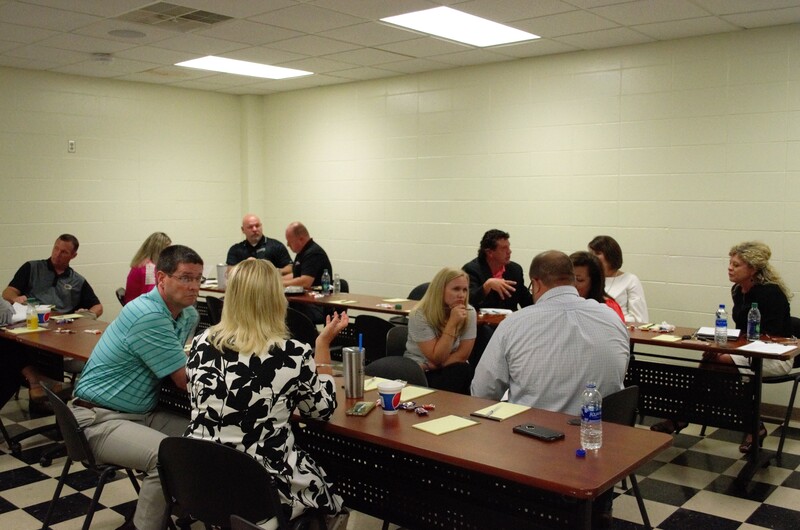 CULLMAN – The Cullman City School Board held its annual capital planning meeting Tuesday morning to discuss the needs of all the schools in the system. The principal or a representative from each school attended the meeting to give a presentation on his or her school’s biggest needs and prioritize them to submit to the Alabama State Department of Education for consideration. To start the meeting, Support Services Coordinator Hayden Faulk briefly went over assessments currently being done within the school system. Facilities assessments and demography assessments are currently underway both to determine the state of all buildings in the school system and to develop 10-year projections for population rates in the system’s zoning area. Cullman City Schools Superintendent Dr. Susan Patterson elaborated a little further on the assessments. Patterson continued, explaining the process for the demography assessment and what kind of information the board is seeking. Representatives of each school made presentations to inform the board of their priority submissions. These are the wish lists for each.